Interested in finding out about the newest businesses in East Passyunk? From rainbow bagels to brisket and barbecue, read on for a rundown of the newest businesses to open their doors in this area of Philadelphia. 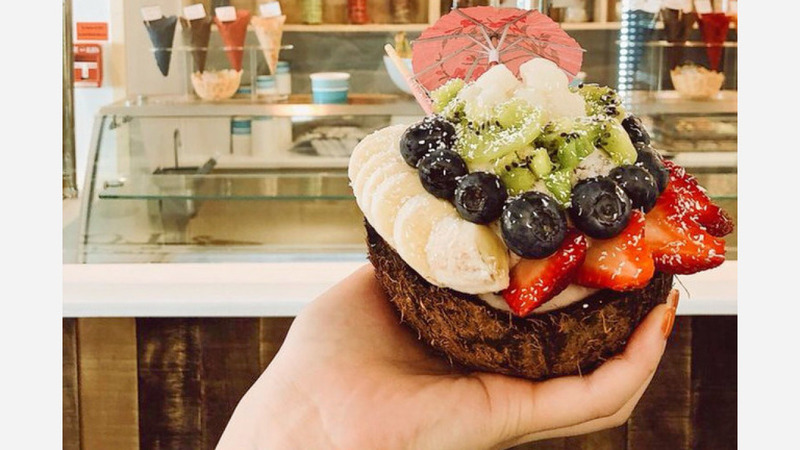 Arctic Scoop is a spot to score customized ice cream with unlimitted toppings. Look for a plethora of flavors, including vanilla, green tea matcha, cookies and cream, strawberry, coconut, lychee lavender, mocha chip and more. Topping include peanuts, granola, almonds, mint chocolate chips, and popping candy. Arctic Scoop also offers four drizzles to finish off your ice cream creation: caramel, chocolate, strawberry and condensed milk. Not feeling ice cream? Check out the array of coffees, teas, smoothies and milkshakes for some liquid energy. Yelp users are excited about Arctic Scoop, which currently holds five stars out of 31 reviews on the site. 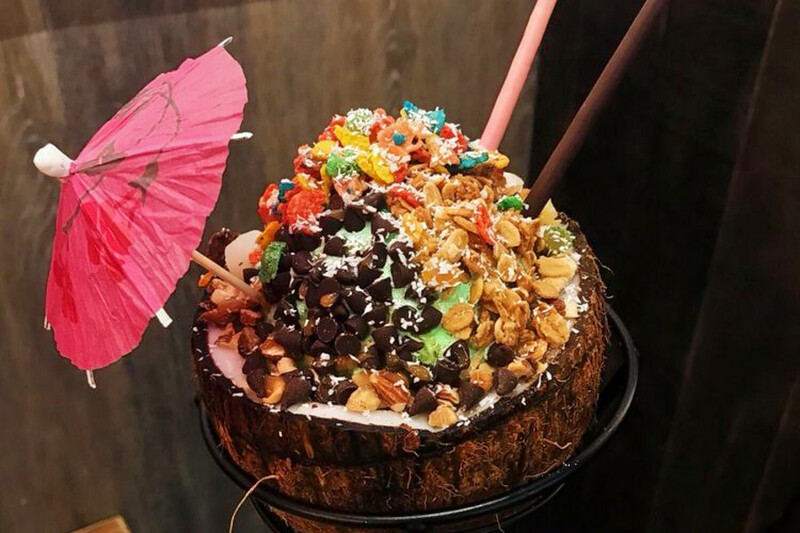 Yelper Steph A. wrote, "Great ice cream spot for after dinner on the strip! They have real fresh-pressed waffle cones and are so nice about trying flavors. Try the taro - it's a beautiful purple and tastes great (I got mine with chocolate sauce) Also had the Oreo milkshake. So fresh and delicious. Will definitely be coming back." Amy C. noted, "Great little stop for dessert! Staff is super friendly and lets you sample as much as you'd like! Some unique flavors, including pandan and lychee rose. A scoop in a bowl comes with a candy topping and a drizzle. I got strawberry with marshmallows and a condensed milk drizzle! Yum! Real chunks of strawberry and the drizzle was just a touch of sweetness. Hubby got a chocolate waffle (they were out of regular) with cookies and cream and enjoyed it. Beware, the waffle creations are huge!" Arctic Scoop is open from noon-10 p.m. from Monday-Thursday and noon-midnight from Friday-Sunday. Philly Bagels is a spot to score bagels, breakfast sandwiches and more. According to its website, it's owned by Aaron Wagner, a fifth-generation bagel maker who also owns another shop on Fitzwater Street. 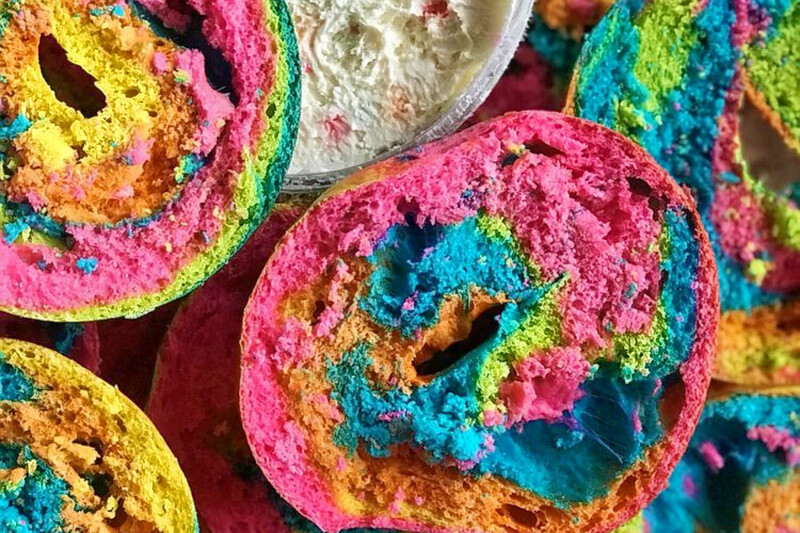 Look for quirky options like chocolate chip, sun-dried tomato or rainbow-hued tie-dye bagels. Craving the classics? Check out the onion, poppyseed and everything bagels. Bagel sandwich specialties include the Rainbow Brite, a tie-dye bagel topped with birthday cake cream cheese; the Veggie Sammy, with a choice of cream cheese or hummus, avocado, sprouts, tomato, onion, cucumber, capers and pickles; and the Godfather, a bagel topped with prosciutto, mozzarella, basil, tomatoes and balsamic vinegar. Yelp users are excited about Philly Bagels, which currently holds 4.5 stars out of three reviews on the site. Yelper Sari Marissa G. wrote, "Their bagels are fantastic and fresh! Perfectly crisp on the outside, a tad chewy on the inside with the right amount of toppings and mix-ins. They have all the varieties you love and even some unique flavors such as French toast, pizza, and even tie dye!" Dominic M. noted, "I've come here twice, and have had a good experience both times. I have tried a breakfast sandwich and also a whitefish salad sandwich. This is the first time I've tried bagels in Philly since moving from Brooklyn, and they were really tasty. The staff seems pleasant, and the woman who works the cash register is very friendly!" Philly Bagels is open from 6:30 a.m.-3 p.m. on weekdays and 7 a.m.-2 p.m. on weekends. 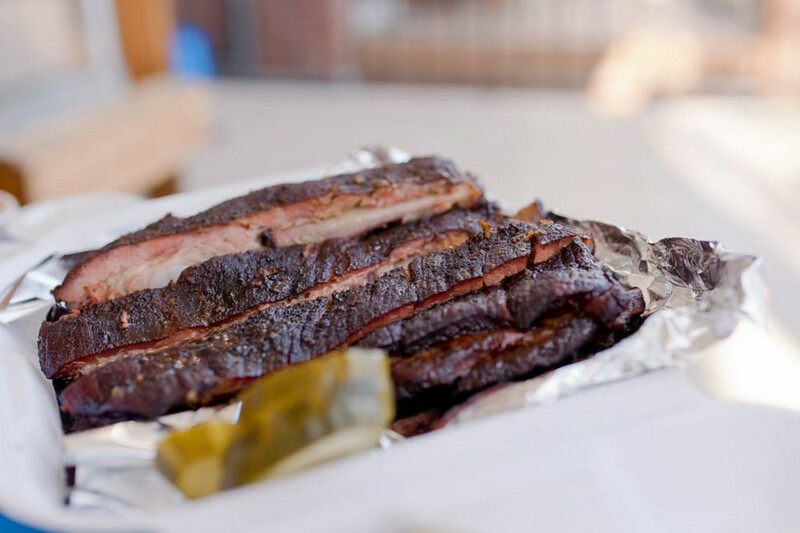 For those looking for a meaty meal, Mike's BBQ provides a big range of barbecue plates, sandwiches, sides and more. Check out the Creekstone brisket, smoked for 14 hours over oak wood, or sample the pulled-pork Italiano sandwich, stuffed with provolone, spinach and spicy pickles. Aside from smoked meats, the menu also offers classic Southern sides like cornbread, coleslaw and collard greens. Yelpers are impressed so far, with an average of five stars out of 63 reviews on the site. Yelper Serena D. wrote, "The price is reasonable for how good the food is. I'd say this is a truly hidden gem! Best barbecue in Philly. Hands down! Will definitely go back!" Brandon K. noted, "Solid brisket, with a good amount of fatty and lean portions. Ribs are stellar, with tender meat and good bark. Great variety of sauces -- from vinegar-based to sweet/smokey to Alabama white. Great pickles. Friendly service. Get it done and check it out."